This book takes tangling beyond paper into the world of fashion. 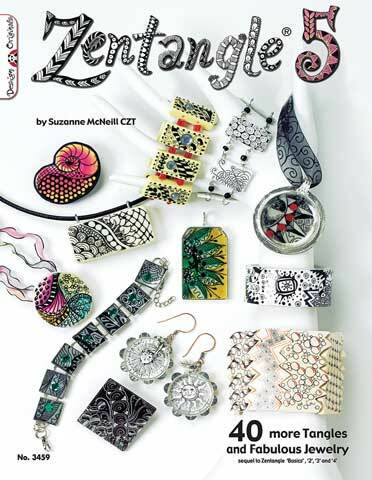 With step-by-step instructions, it shows artists and crafters how to create beautiful jewelry and fashion accents using the creative art form of Zentangling - an easy-to-learn way to create beautiful drawings using structured patterns. It includes 40 tangle patterns and a variety of projects illustrating how to incorporate Zentangles into wearable art using jewelry supplies, dominoes, shrink plastic and more.